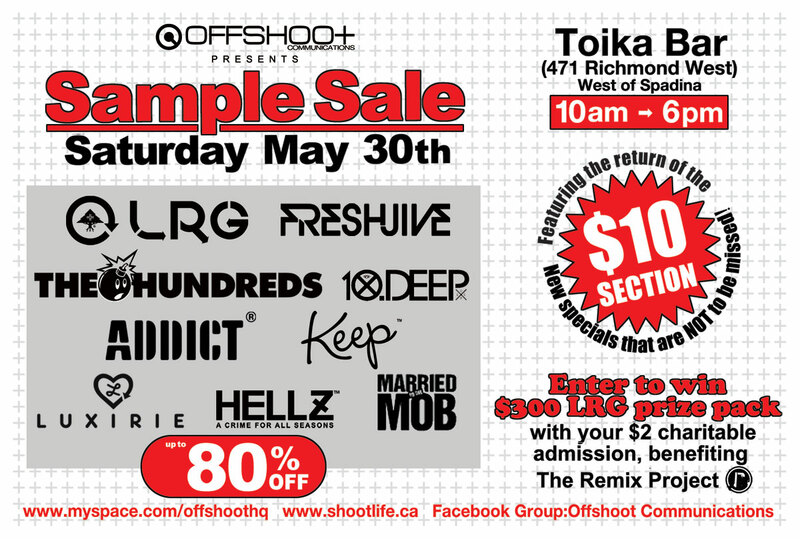 My good peoples at Offshoot Communications is having a sample sale this Satuday May 30th at Toika Bar (471 Richmond West – West of Spadina) from 10am – 6pm. 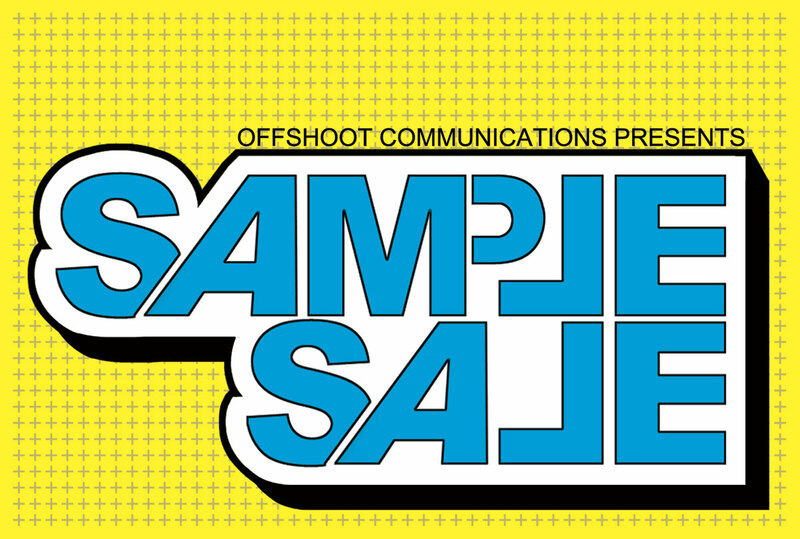 The sample sale includes clothing by LRG, Fresh Jive, The Hundreds, 10 Deep, Addict, Keep, Luxirie, Hellz Bellz, & Married To The Mob. 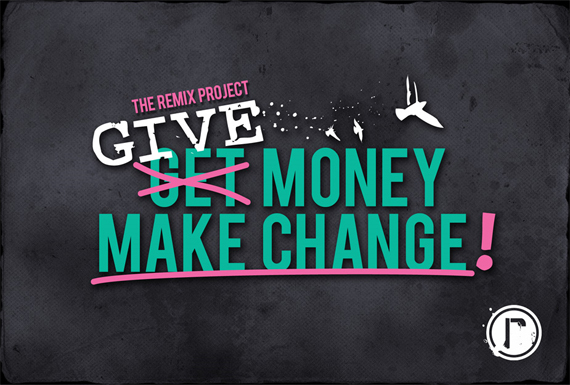 With a $2 charitable admission that will benefits The Remix Project, you can enter to win $300 LRG prize pack. Be sure to peep the new specials and the return of the $10 section. Save the date, head to downtown Toronto and do some sample shopping. See you there! A few days ago, Charles Hamilton got punched by his girlfriend Briana Isaacs (step daughter of Mary J. Blige) which was conveniently captured on HoodNews. Peep the original post here. HoodNews felt the need to HELP clear the air between Charles Hamilton & Briana Isaacs on camera to let viewers know that everything is good between the two.”Apparently people got it twisted” says Charles. Nahhh homie – you got it twisted. You clearly got punched in the face because you were disrespectful to your girlfriend Briana on camera. People need to keep their personal issues off cameras because that’s where the drama and problems start. Peep the video. As the weather starts to get nice, more and more artists will put out more dubs and freestyle (it’s a summer trend).Trey Songz got on the Young Money “Every Girl” track and I was quite impressive with this version. 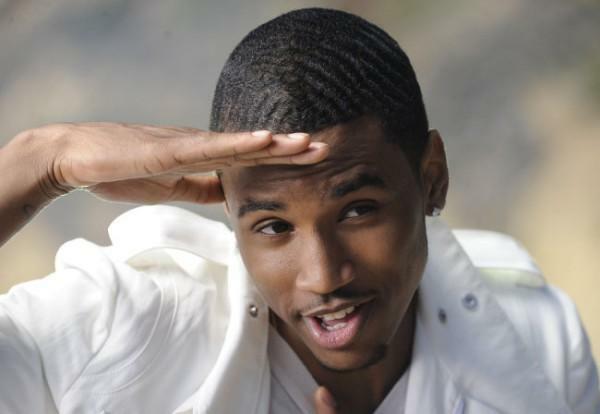 With Chris Brown is out of the picture, Trey Songz is on a hunt to claim the No. 1 position for male r&b artist. He has a great chance of obtaining that title – let’s see who else will try to take it. Peep the track! 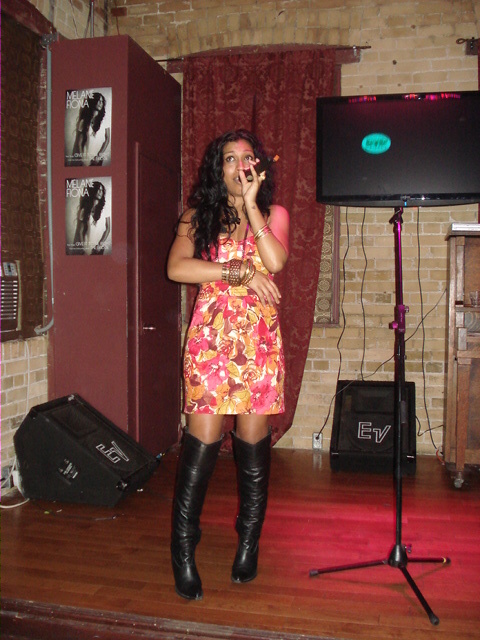 RichGirl, a supergroup comprised of Audra, Brave, Seven and Lyndriette which was formed by Rich Harrison. The ladies are signed to Rich’s label Richcraft and have released their debut video “He Ain’t Wit’ Me Now (Tho)” directed by Ray Kay. They are preparing the release of their self-titled album to be release this summer. RichGirl has already been compared to Electrik Red but they are very different. They are described to be a mix of En Vogue & Spice Girl. I don’t feel that “He Ain’t Wit’ Me Now (Tho)” is their strongest track to make them rise to super stardom but I would love to hear more from this group. Peep the video. Gotta love Drake and it’s only going to get better! It seems that ever since the whole Chris Brown and Rihanna incident, females are taking control and not letting dudes get away with anything. Now there’s Charles Hamilton and a woman named Briana Isaacs. Charles was reporting for Hoodnews and decided to interview Briana. It is not 100 percent clear if Briana is his girl or “bust it baby” . What makes this situation even funnier that everything was caught on tape. Chris Brown should take a note or two from Charles Hamilton. Do you think Charles Hamilton deserved that punch? Let me know. 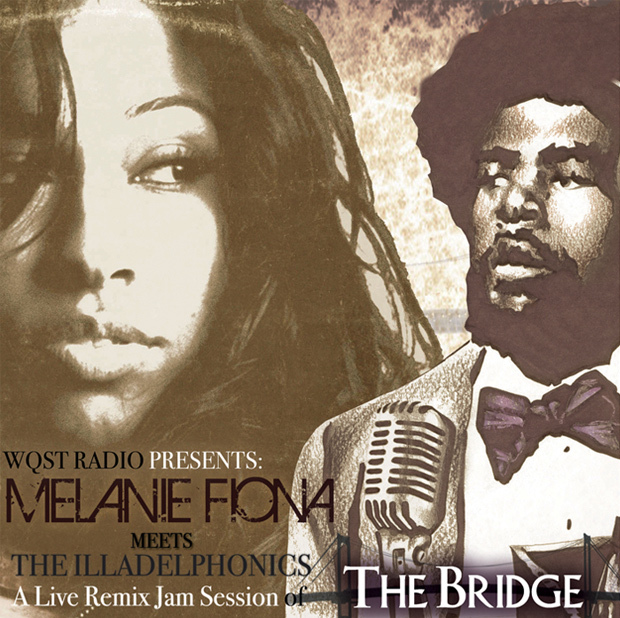 FYI – According to MissInfo.tv – Briana Latrise Isaacs is the step daughter of Mary J. Blige. Check out her MySpace. 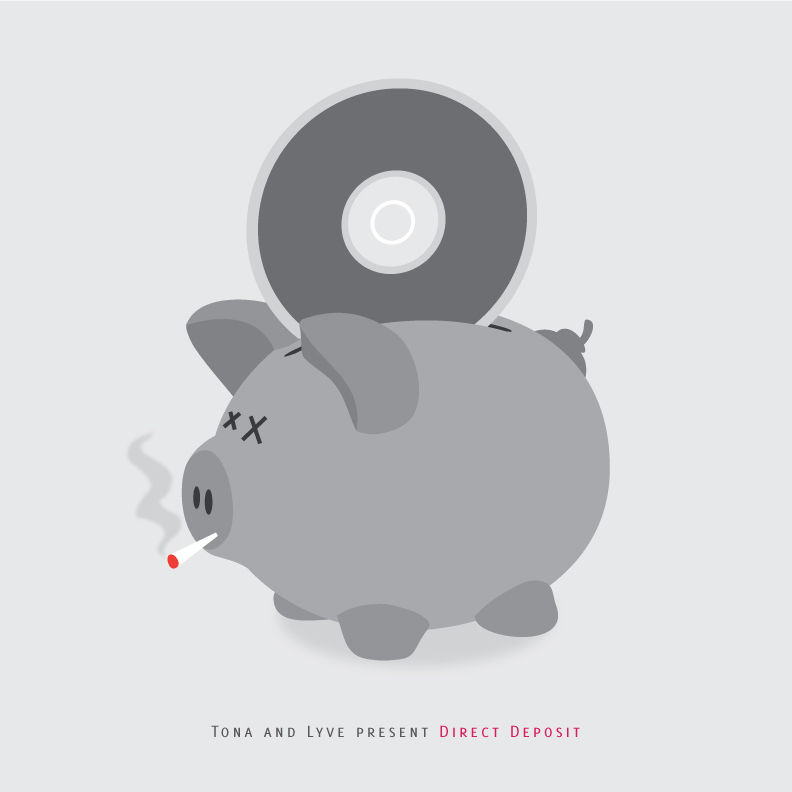 Big Homie TONA and producer Lyve are preparing the release of their latest project Direct Deposit distributed under Da District Ent/E1 Music Canada on June 2nd! 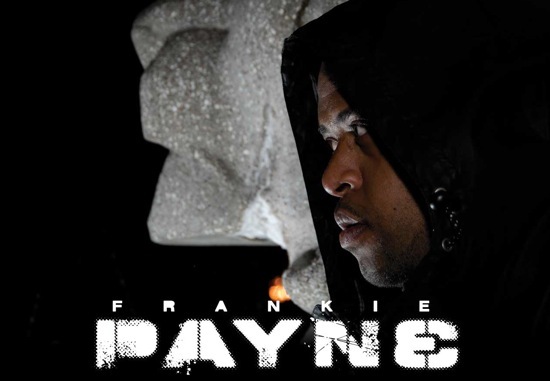 Featured appearances include Skyzoo, Tenisha, Saukrates, Via Linez, JD Era, Richie Sosa, T.R.A.C.K.S., Richie Hennesey and many more. Peep the promo reel below and check out the artwork above and the track-listing below. Remember to grab Direct Deposit in stores & on iTunes on June 2nd! Please support this project. Toronto Stand Up! Here is the official music video for Beyonce’s fifth single “Ego” off her latest album I Am… Sasha Fierce. “Ego” only appears on the Deluxe edition of the album. In this video you will see a similarity to “Single Ladies (Put A Ring On It)” and “Diva” with the two back up dancers following Beyonce’s every move. Overall the video is HOT and Beyonce has been showing everyon who is Sasha Fierce. We all know that she is a DIVA. 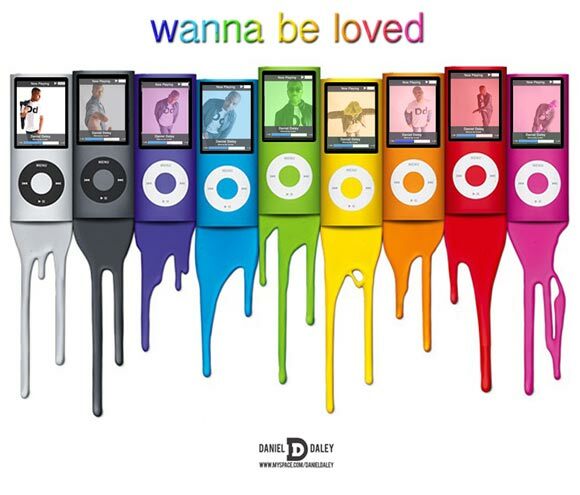 There is a remix that has been leaked over the Internet a few weeks ago featuring Mr. Egoistical himself – Kanye West. I mean it only makes sense right? According to wikipedia, the music video for the video featuring Kanye West will be on the CD/DVD album Above and Beyoncé (Video Collection & Dance Remixes) which is set to be released on 16 June 2009. Last Friday, The Game had their Season Finale (Series Finale) and from my understanding the ratings for Season Finale beat out 90210 and Gossip Girls. The Game is originally a comedy but Mara Brock Akil (creator) was trying to change the format into a hour long drama series. The Season Finale shows the attempt to switch the formats. 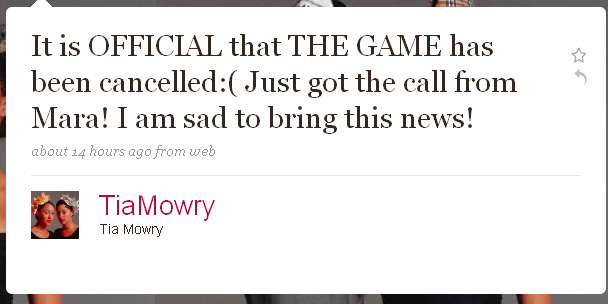 But why is the show being cancelled? It’s something that doesn’t make much sense to me. Of course, it’s rating but look at what day the show comes on. Most people want to hang out on a Friday night. I am no television ratings experts but that’s my assumption. There was even a possibility that BET may pick up the show but unfortunately that will not be happening. Today, The CW also announced their 2009 – 2010 Primtime line up. See below. If you notice that on Fridays from 9 – 10pm, there is an encore presentation of America’s Next Top Model. Are you serious? 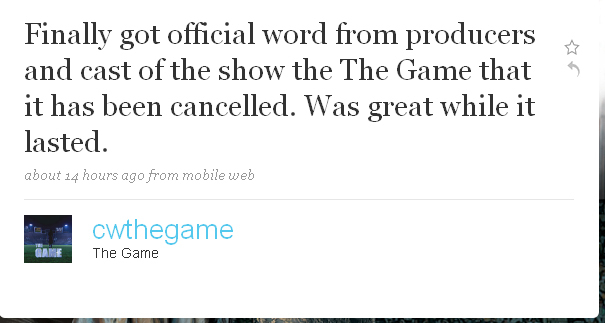 You couldn’t fit The Game in that time slot. As far as “Black shows”, America’s Next Top Model is the only one that fits into that category. I still have high hope for The Game and I am praying that another network will pick up the show. On Saturday May 30th, Stylus SpinFest Presented By Marc Ecko Watches in Association with Manifesto Presents – IT STARTS WITH THE DJ 2.0. This event will be sponsored by World Vision & OMDC and will be held at HOME located at 117 Peter Street starting at 1:30 PM. Hosting the conference will be Ty Harper & rez Digital of OTA Live. Admission is $10. The conference will compose of the Round 1: Business Fundamentals with DJs, Artists, Managers, Promoters, Label execs and etc, Round 2: Network Hour and Round 3: OTA Live Talk with DJ Drama. 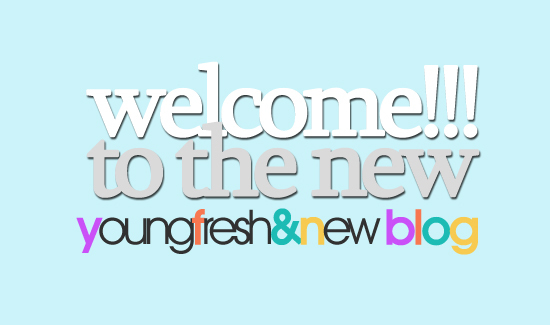 – more information read here. A NEW session that will take place at the conference is NETWORK HOUR. This session is dedicated to artists who want to network with DJs, labels execs, bloggers, promoters etc etc. Whether you need to ask a question or get some feedback about your track, this session will give you the opportunity to do so. Thanks to Joanne of Real Mark Global Group who is the conference coordinator for this event, she posted a video giving a detailed rundown about the conference. 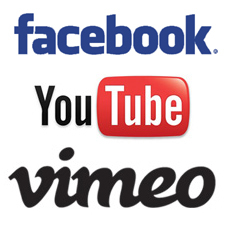 The information is available below the video. Hope to see you guys there! In this new addition to the conference, we’re dedicating one hour to the importance of networking. Unfortunately, many artists do not have relationships with key industry executives and this creates obstacles for artists to receive exposure. One on Ones can be a great benefit to artists because it not only gives them a chance to network in a more initiate setting, but it allows the artist to properly strategize the next step in their career. Individuals will have the opportunity to book five minutes with any of our 10 advisors of their choice, and either play their music and receive feedback or just ask advice. Once their five minutes have been completed, the individual will proceed to the next advisor on his/her appointment schedule and continue until their entire schedule has been completed. – what you would like to discuss with each advisor. Email confirmation will be sent to ensure time has been booked. 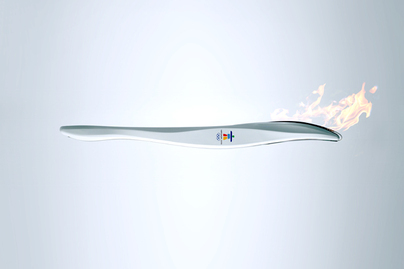 You are staring at the logo and thinking to yourself “Isn’t that cool, but doesn’t that look like a _ _ _ _ _ (fill in the blanks)?” Above is the official torch logo for the 2010 Vancouver Olympics. Is the 2010 Vancouver Olympics trying to make a “statement” by living up to the reputation that Vancouver has one of the best sticky of the icky? Many artists and celebrities including Snoop Dogg love to visit Vancouver for a little smoking session. Didn’t Britney Spears recently made an issue about the ‘green’ activities at her last concert in the West? It seems that Vancouver officials don’t see the harm in a little puff puff pass. If the logo was shown vertically, would you get the same reaction? Let me know your thoughts!